Fill out the form below to submit any questions or concerns you may have about your case. With Independence Day barely behind us and Labor Day a full month away, it feels far too early for Florida students to be returning to school already. But for Pinellas and Hillsborough County public school students, it’s back to school on August 10, 2017, while in Broward County, the first day of school is August 21, 2017. Students face myriad perils walking to the bus stop or to school. For many, classes start as early as 7:05 a.m., just minutes after the sun rises at 6:59 on August 10. 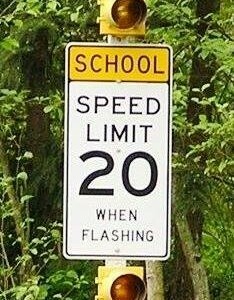 That means many children will be walking on the side of the road or crossing busy streets in the dark! Every year, there are news reports of children being hit by drivers on their way to school. • Stop: Stop for school buses and pedestrians at intersections, paying extra attention to crossing guards holding up a stop sign. • Watch Out: Be vigilant about children walking on roads with no sidewalks and crossing the street. • Put the Phone Down: Texting or any cell phone use while driving is a recipe for disaster, especially with young children walking to school (often in the dark). • Don’t Double Park: This blocks visibility for children and vehicles. By allowing more time than usual to get to work, staying off the phone, obeying traffic signals and taking all safety precautions into account, during the new school year, drivers can curb the tragic consequences of inattentive and aggressive driving habits. Jovita Wysocka Kravitz is a partner at Kravitz Law Group, P.A., representing personal injury, auto accident, slip and fall, and medical malpractice clients throughout Tampa Bay and South Florida. Kravitz Law Group, P.A. is a plaintiff’s personal injury law firm with offices in downtown St. Petersburg, Brandon, Clearwater, Tampa and Ft. Lauderdale. Attorneys Jovita Kravitz and Ed Kravitz have over 30 years of combined experience in injury law, litigation, and civil trials. For more information on Kravitz Law Group and our personal injury services, please visit www.KravitzLawGroup.com and contact us at (727) 362-1234 in Pinellas, (813) 626-1234 in Hillsborough, (954) 637-1777 in Broward County, or Info@KravitzLawGroup.com.